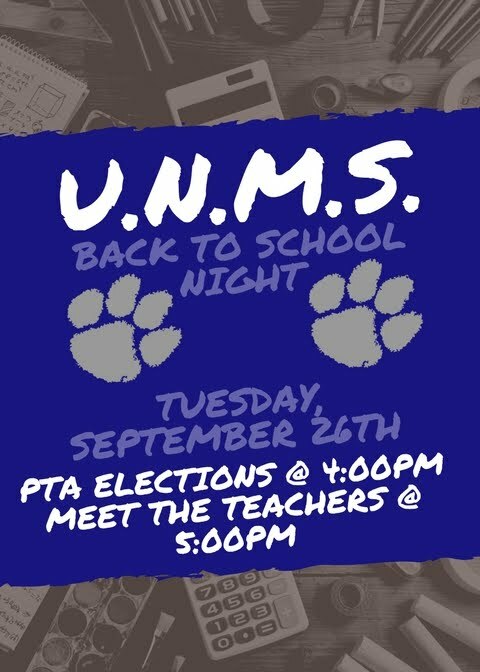 Join us Tuesday, September 26, 2017 for our Annual UNMS Back To School Night at 5:00pm on the 3rd floor. Come and meet the teachers, staff and the rest of our UNMS community during a night of greetings, information and pleasant socializing amongst our incoming and current families! PLUS! Meet us in room 332 at 4:00pm for our 2017-18 P.T.A. Elections!